In this lesson we will use 3 Ultrasonic sensors to detect front obstacles and guide robot car to drive automatically. Before starting this project, you need complete hardware installation in Lesson 2 . 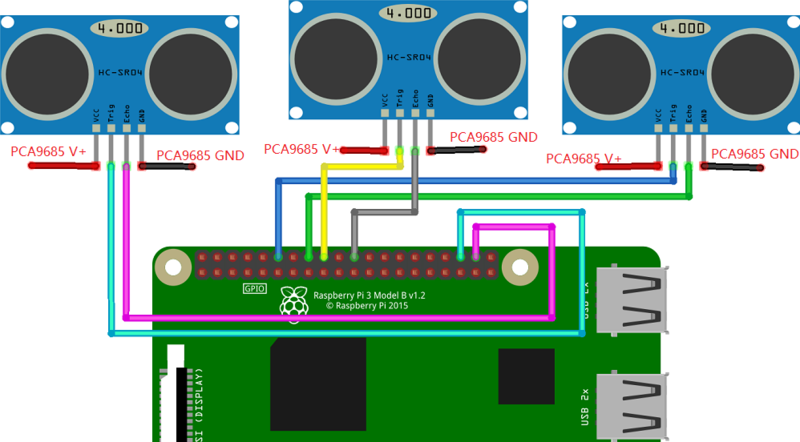 Make sure the Lesson 2 software test is ok which means your motor installation and wiring to Raspberry Pi are all correct.